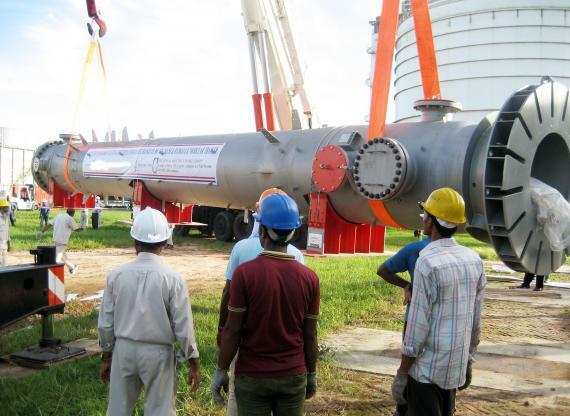 The Bengal Electric Ltd (BEL) have recently completed the operations and maintenance of a large methanator heat exchanger for a fertilizer factory in Bangladesh. 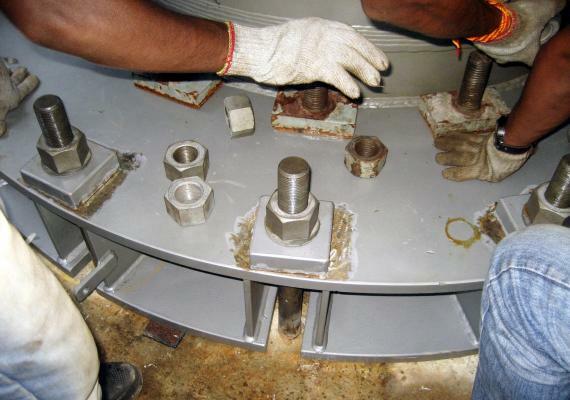 For this precision job, Bengal had been working hard for the last two years organising method statements, rigging plans, 2D and 3D drawings as well as transport plans. Mr. Mottakin Salam (Deputy Managing Director) took full control of the project from beginning to end and comments; "Bengal are constantly working hard and we are achieving our aims of taking our company to another level. 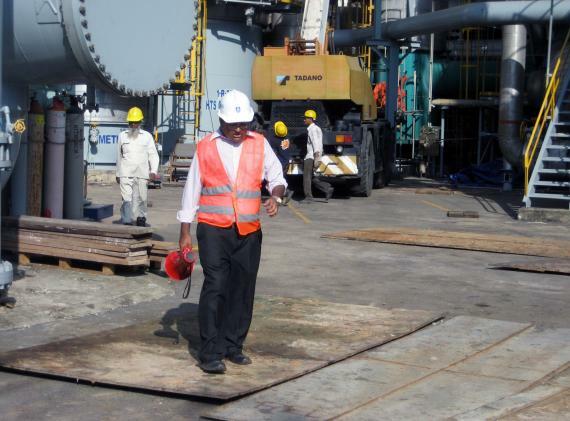 This sort of project takes years of planning and previously, work of this huge magnitude would be performed by an international company, but we are very pleased a Bangladeshi company like BEL can win the contract and handle the operations and maintenance safely and professionally". 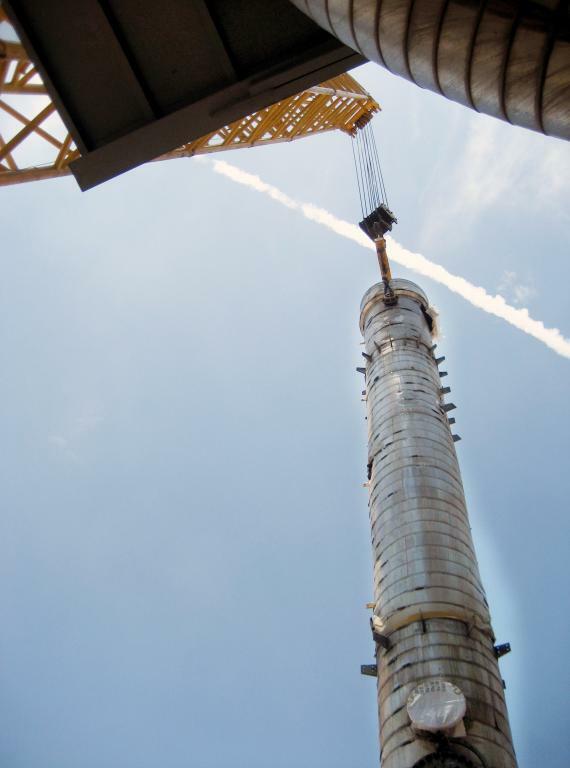 BEL dismantled the old 16m methanator heavy heat exchanger using their 500tn Demag crane as the main lifter and their 150tn Tadano crane as an auxiliary. 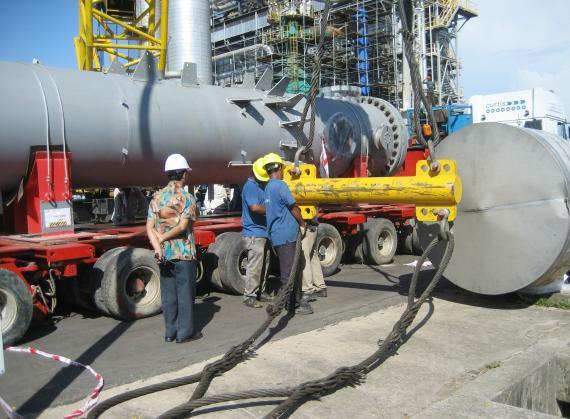 After dismantling the pipes, insulation and anchor bolts, the cranes slowly lifted the long piece from its foundation, turned it horizontally and placed it onto a 250tn capacity hydraulic trailer powered by a DAF prime mover. Bengal then lifted the new piece with two tyre cranes of 100tn and 150tn capacities and transported it to the erection site by hydraulic axle trailer. 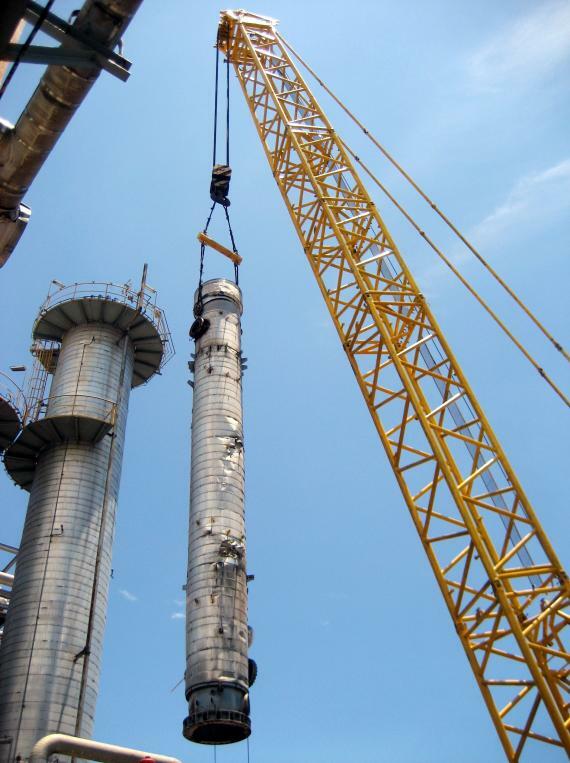 Once the methanator arrived at the erection site, the 500tn and 150tn cranes were again used together to turn it upright before installing the exchanger onto its foundations with a boom configuration of 60m and a 180tn counter weight arrangement. Finally, the old piece was also transported to the storage yard by hydraulic axle trailer. Please click below for photos of the operations. 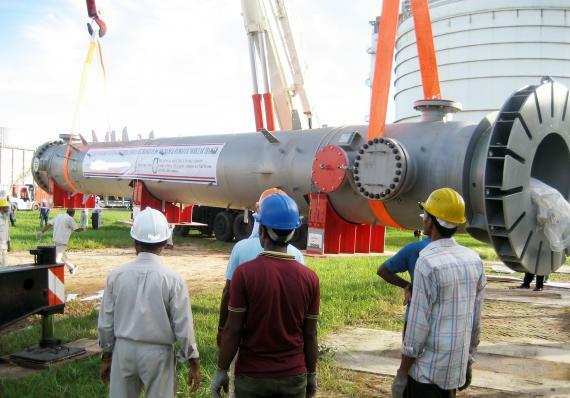 The Bengal Electric Ltd (PCN members in Bangladesh since 2013) have once again proved their capabilities in heavy lifting, project transport and construction for any project, whether big or small.